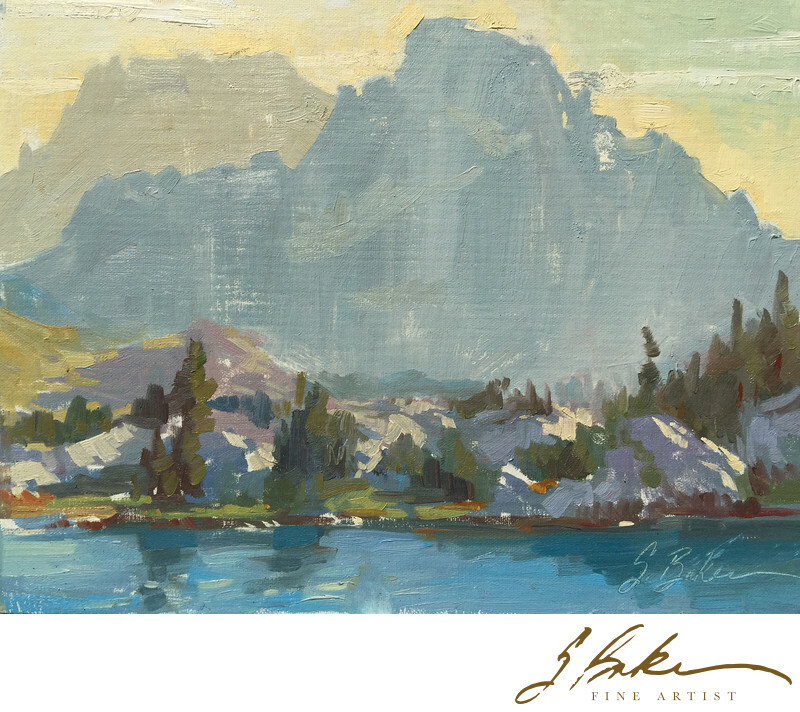 This plein air painting is of the last sun rays passing Mount Ritter and Banner the evening of August 19, 2015. I hiked into the Sierras from Mammoth Lakes to Garnet Lake with six other artists. Artists Paul Kratter, Bill Cone, Lori Putnam, Carol Marine, Aimee Erickson and Ernesto Nemesio were terrific painters and even better companions.